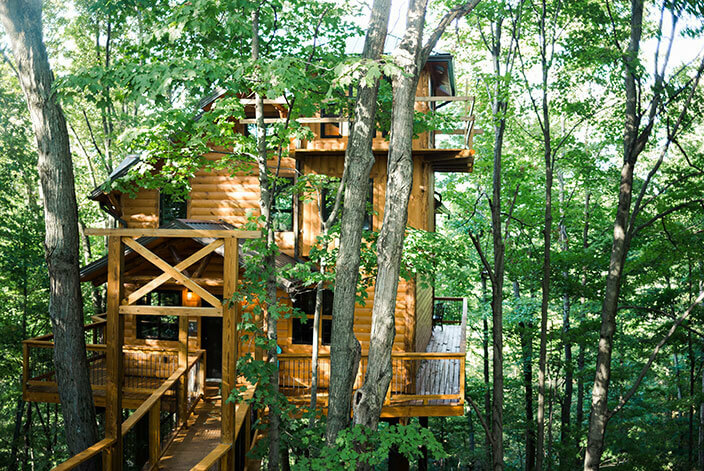 Treehouse #3 is one of the tallest and largest tree houses in the country! 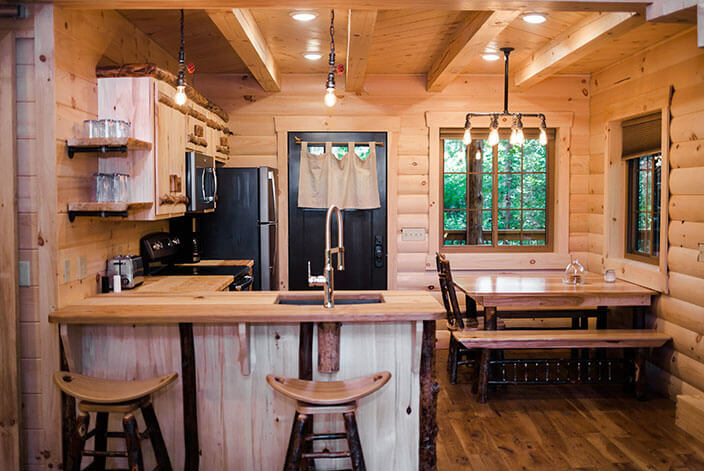 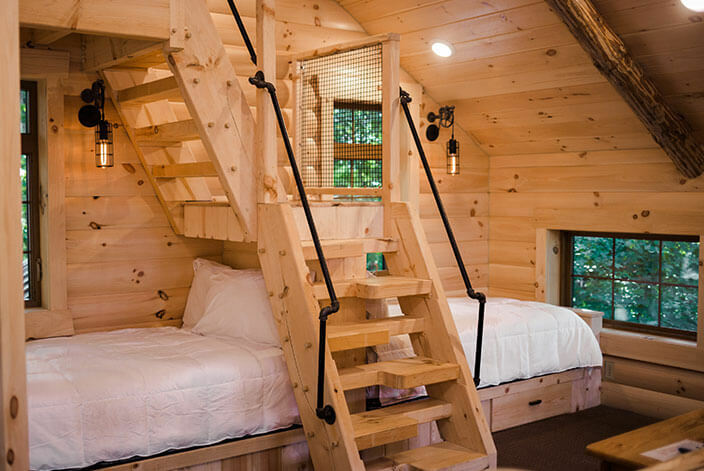 With two-stories and a crows nest, this large tree house is a great lodging option for couples and families! 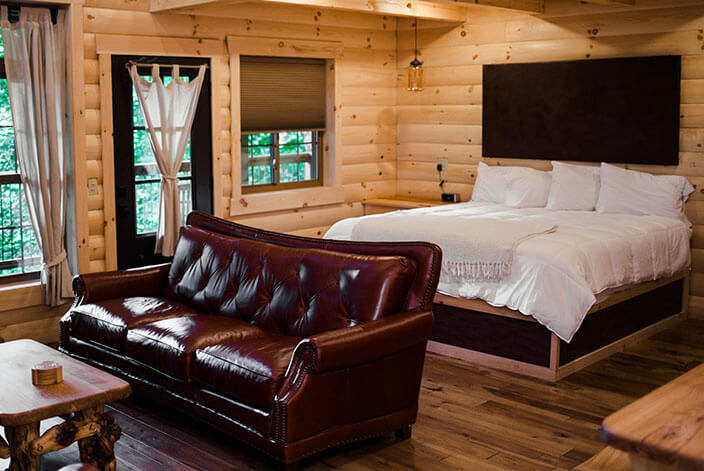 Enjoy a king-size bed on the first floor and a king bed as well as two single beds on the second floor. 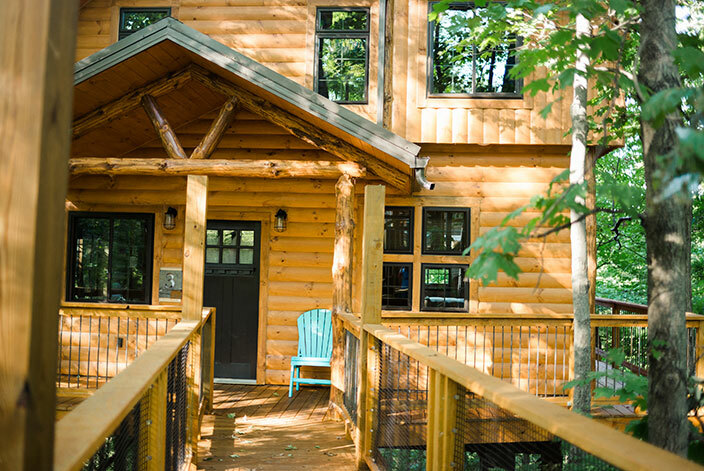 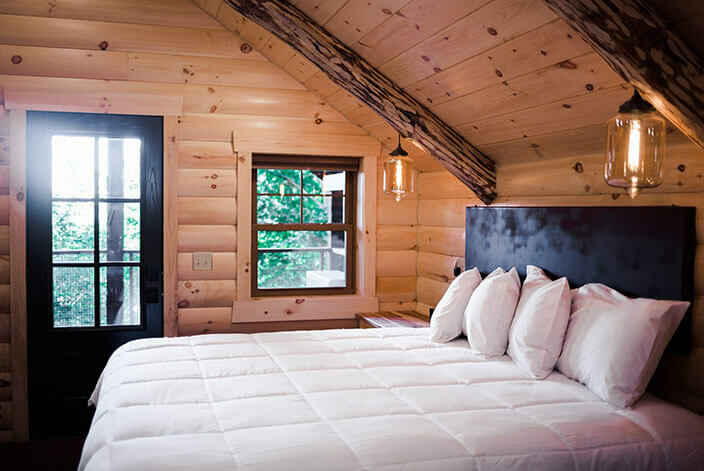 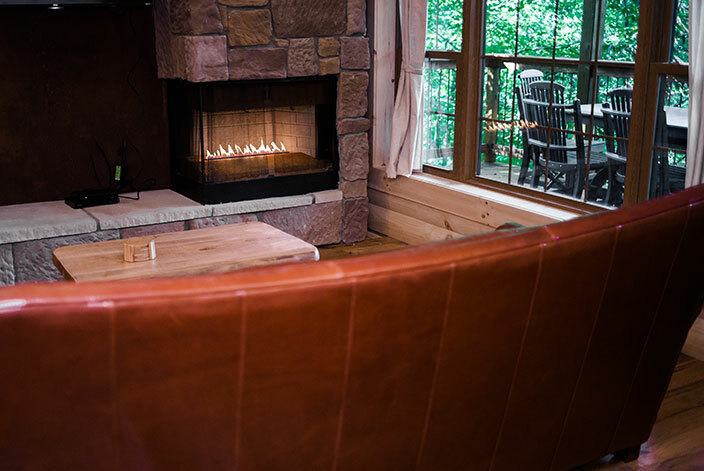 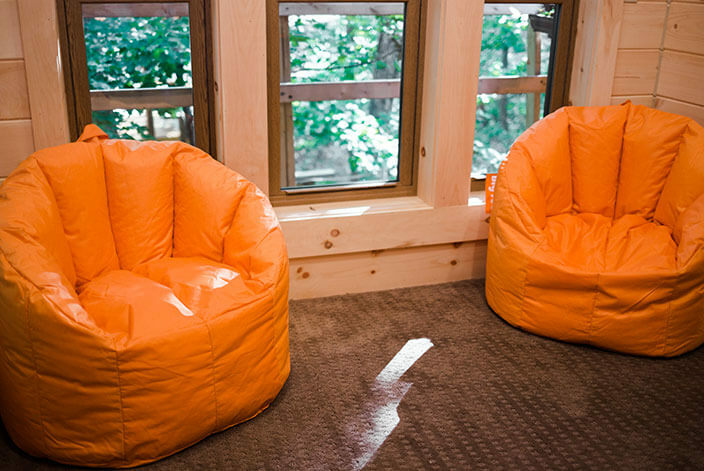 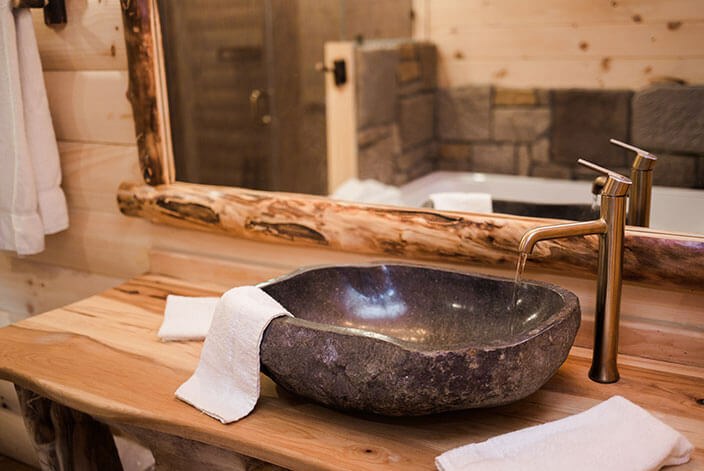 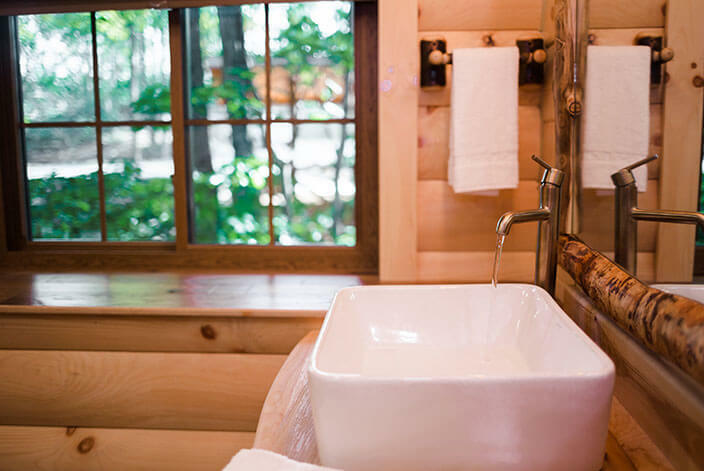 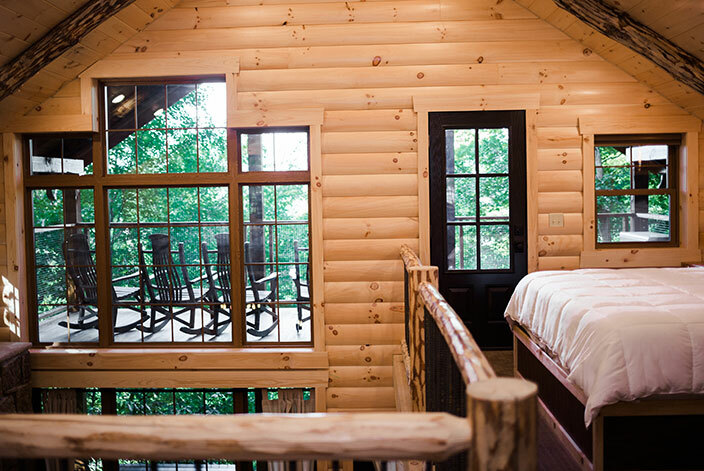 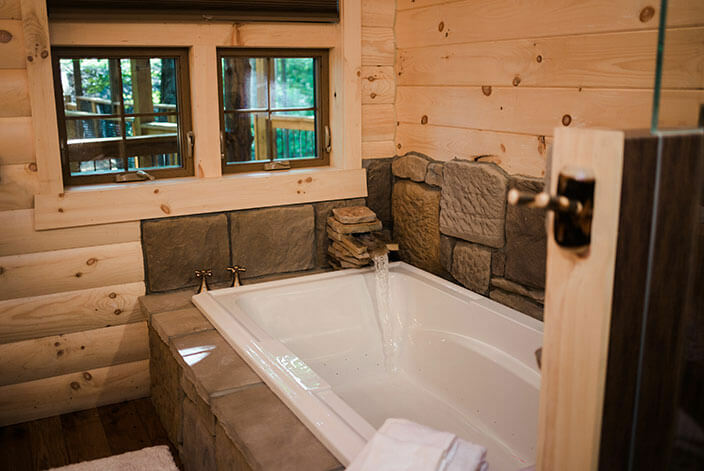 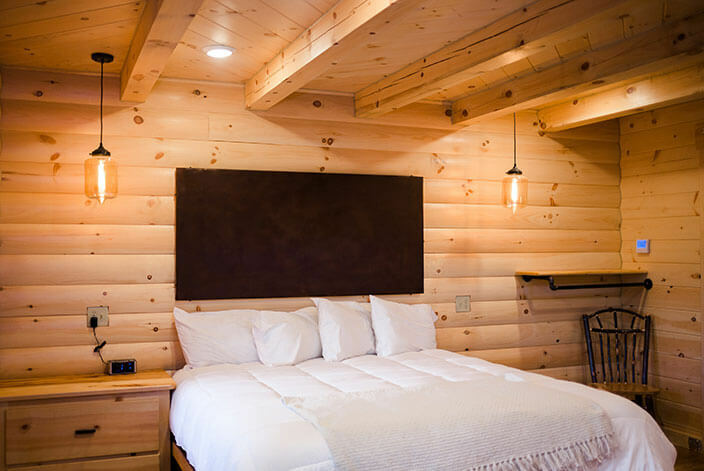 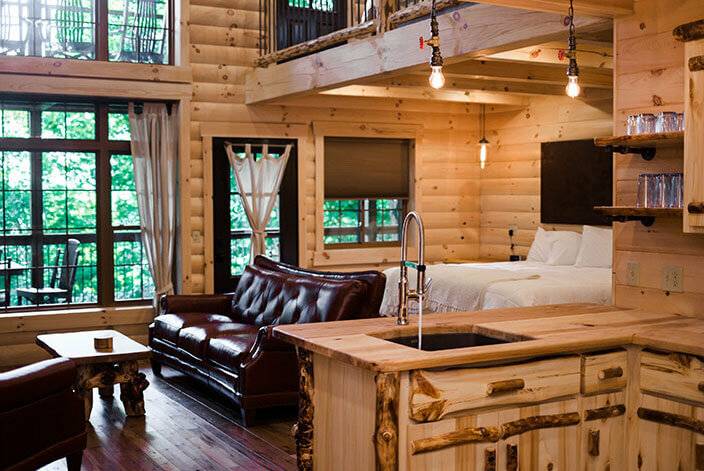 Our beautiful tree house will provide you with all the amenities you could need including a full bathroom on each floor, 2-person stone Jacuzzi tub, gas fireplace, arcade room, full living room area and a full kitchen! 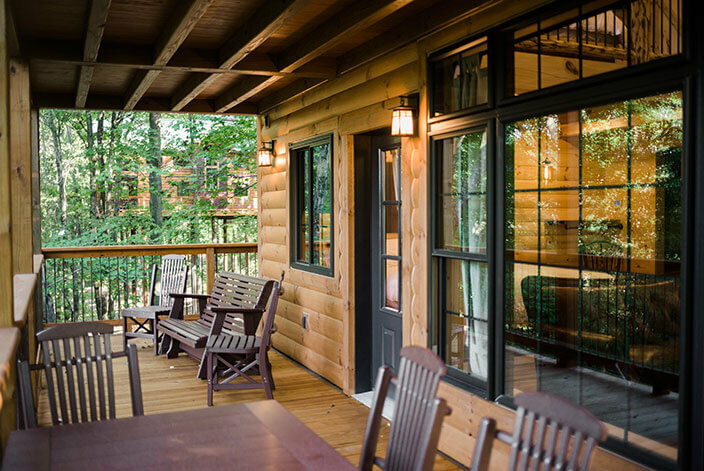 Also enjoy the wooded views from the screened in porch on the lower level or in the covered porch on the upper level.